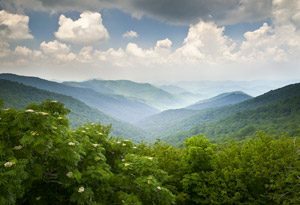 Homes are selling and the rates keep getting lower and lower on real estate for sale in Blowing Rock including properties that are close to downtown, the Blue Ridge Parkway, Moses Cone Manor, and not that far away from Linville and Boone. These properties of real estate for sale in Blowing Rock all have amazing, panoramas and secluded mountain scenery. Convenient to nearby Appalachian State University and the area’s other common employers, these properties are excellent for new home buyers. There has never been a better time if you are considering buying a mountain retreat to escape to or perhaps thinking of making a move. Our agents are skilled at discerning a clients wants and needs and communicating efficiently about the different real estate markets in the High Country. Let us show you real estate for sale in Blowing Rock with outstanding views. Thinking of placing your property on the market? There are several reasons why right now is an optimal time if you are thinking of listing your home in our real estate for sale in Blowing Rock listings. We have what it takes to ensure that your real estate sells and that you get the highest price possible. Our skilled negotiators have negotiated hundreds of millions of sales and hail from world class destinations such as Miami, New York, and Chicago. We bring the expertise that you are searching for to the table.